This impressive looking side dish is actually very simple to prepare and is a great addition to a family dinner, holiday meal or an elegant dinner party! 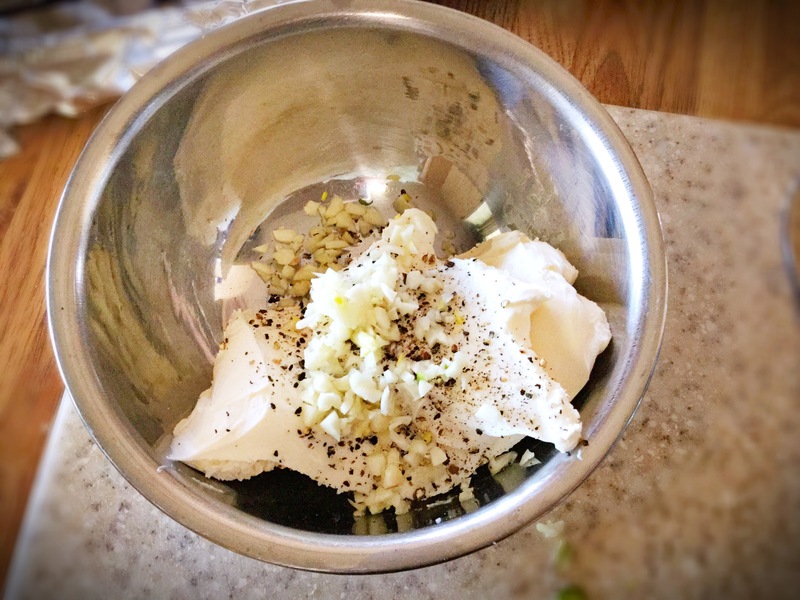 What’s also fun about this flavorful vegetable is you can add in the spices and herbs of your choice to really add depth ….or, sshhh…, there are MANY flavored cream cheeses out there now that can make this just that much easier!! 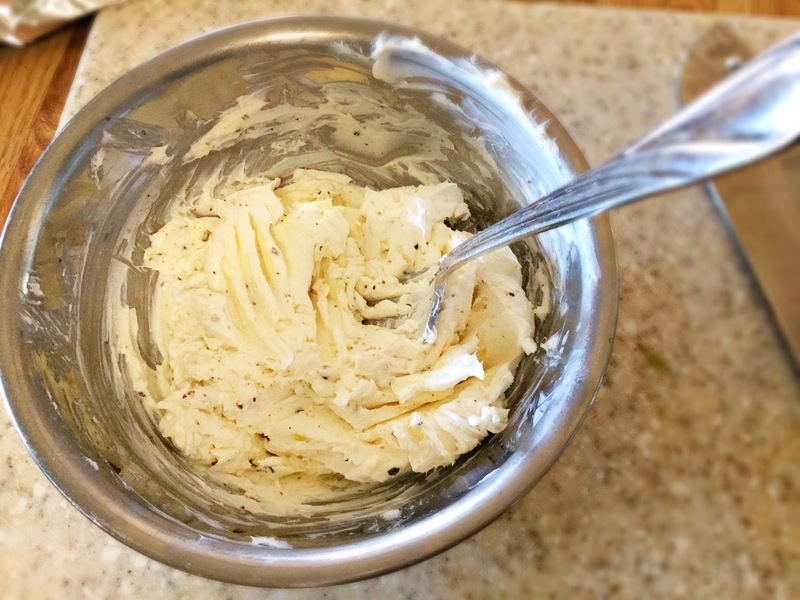 After your asparagus spears have been cleaned, tough woody ends removed and patted dry, begin the cream cheese spread. 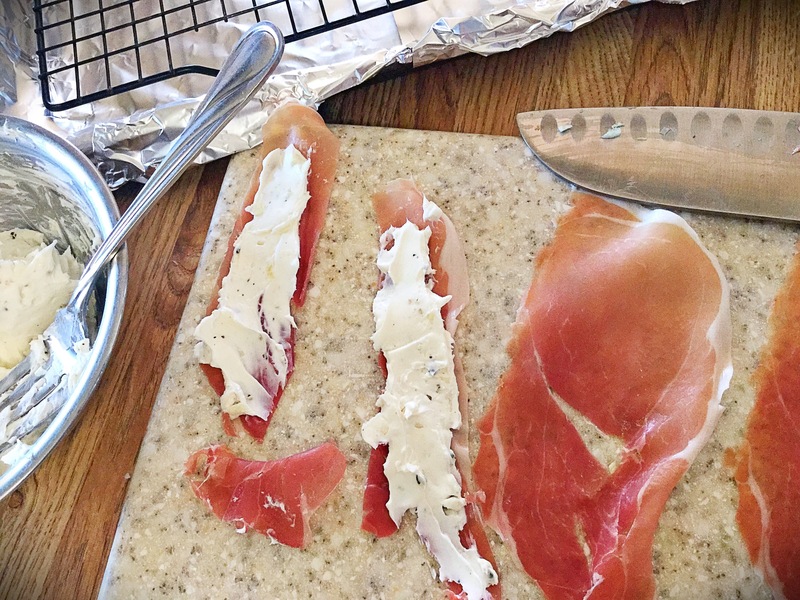 Next, smear about a Tbsp of the garlicky cream cheese down the 2″ wide vertical strips of prosciutto. *This is actually quite easy if the spread is softened enough. 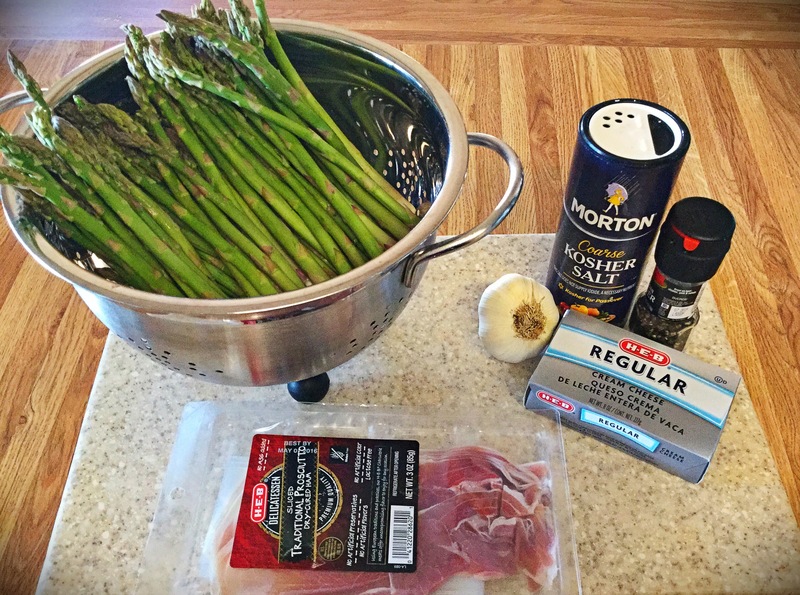 I then, depending on the asparagus spear size, take a good 3-5 spears and carefully wrap the cheesey prosciutto around each bunch. 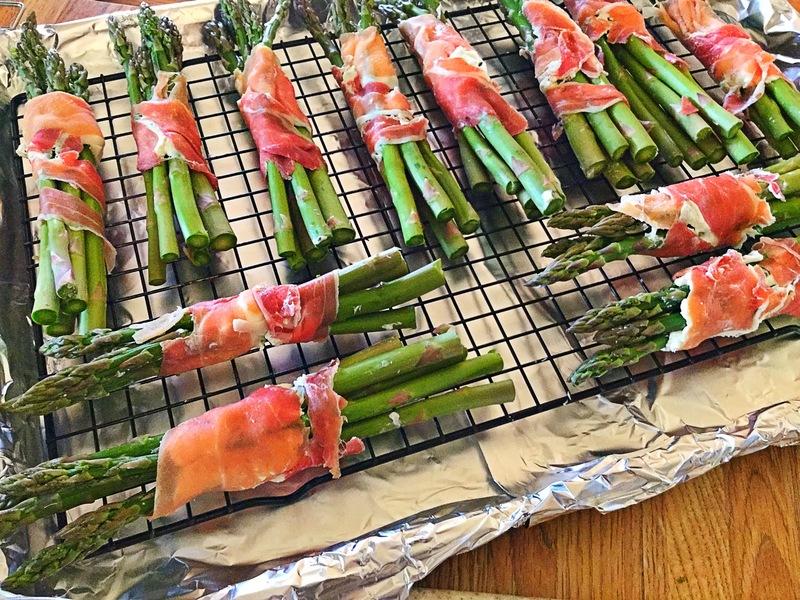 The cheese helps for the prosciutto to stick to the vegetables so toothpicks aren’t needed. Once each ‘bundle’ has been created, place into a wire rack lined baking sheet. 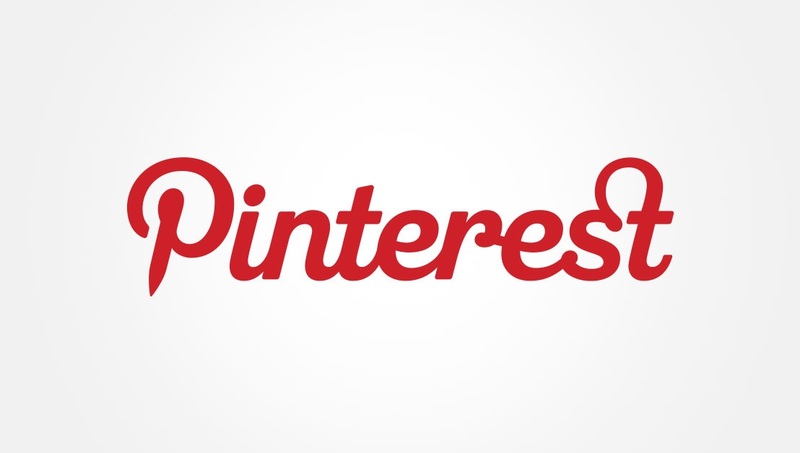 *You can even lay a sheet of foil or parchment under the rack for super easy cleanup! Now you can either loosely wrap the bundle filled sheet tray in foil and store in the refridgerator until dinner time or cook now! Preheat the oven to 400 degrees. 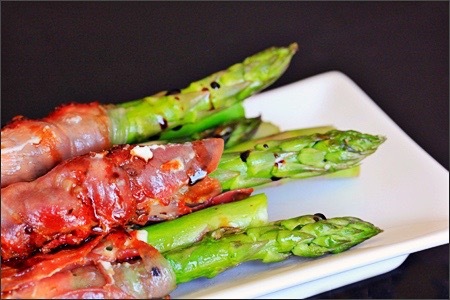 Place the sheet tray of prosciutto wrapped asparagus UNCOVERED (you want that prosciutto to crisp slightly) onto the middle rack and cook for 10 minutes. Remove and serve immediately, enjoy!